CancelCable.com | What is free digital broadcast TV? What is free digital broadcast TV? Digital broadcast TV is an improved method of TV broadcasting which offers cable TV picture quality and additional channels for free over the airwaves. In June 2009, TV stations in the US switched over to this new standard, however most stations have already started digital broadcasting. 2. Quality. If you are in range and can receive a digital channel, reception is typically perfect. No snow, grainyness or fiddling around with rabbit ears to get the perfect picture. Since digital broadcast TV is less compressed than many digital cable signals, quality can actually be much better than traditional cable TV. 3. Additional network channels. Since digital broadcast is more efficient, networks have the ability to broadcast multiple channels. For example, a local PBS affiliate can choose to provide 3 channels round the clock. – one for small children, one for older kids and one for adults. (This was a nice surprise, since we found many new kids shows that we couldn’t pick up before going digital). You can use any type of TV to receive digital broadcasts, even that old one with the rabbit ears you got for $20 at a garage sale. LCD and Plasma TV owners: There is a good chance that your TV’s can already receive digital broadcast TV. If your manual says ATSC tuner or HD ready, you can just plug your antenna directly into your tv and start receiving free digital tv broadcasts, many of them in HD. Everyone else: You will need a digital TV receiver to enable your ‘old’ TV to work with digital broadcast TV. This device looks and acts like a small cable box and plugs into your TV set. These boxes sell new for about $40, but can sometimes be purchased for under $20. Note: If you are very far away from most transmitters (30-70 miles), you may need to pickup something more powerful. The good news is than even top of the line long range antennas usually cost less than you would spend for two months of cable service. Next: Check availability in your area. 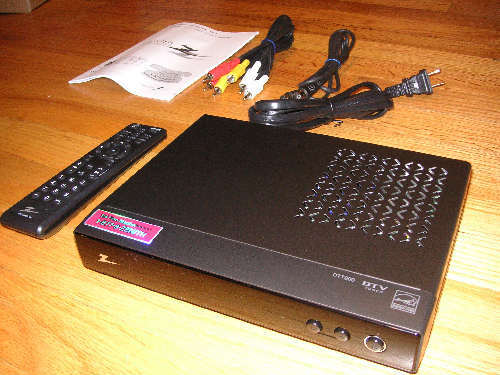 This entry was tagged digital broadcast tv, digital converter box, free hd. Bookmark the permalink. All I can say is WOW! Nice job laying the facts out so everyone can understand how great over the air digital TV reception really is. Wow so I can get 20 channels instead of paying a monthly fee for about 100 channels which about 50 of them are HD. Great info here! I am willing to say that over 90% of pay TV provider customers don’t know they are being charged $10-$15/month EXTRA for their local channels when they can get them for free AND receive them better due to using a DTV antenna and getting those channels in a “true” uncompressed signal! Very well done website. Easy to navigate. The pictures are most helpful to those of us that aren’t hardware savvy. Thanks for all the valuable info…I’ve been searching to an alternative to satelite dish that’s affordable, thanks to you and your suggestions I know we’ll be able to save $$$! Can any one tell me how to hook up my legacy 12 year old Proscan 36 inch TV? It doesn’t have a VGA connector but it does have RCA connectors. Later we’re going to upgrade to an LCD TV? Do I string a super long VGA cable from my laptop to the LCD TV when we get it? The Proscan has an S-video input. 2. I’m happy with the the channels I get for free. I find if I do so desire to “fiddle with my rabbit ears,” I get even more channels. I live right in the Jersey Suburbs of NYC, so I can pick up NJ and NY channels. 3. The picture quality of broadcast hi-def, *Cleans cable’s clock. * Period. No comparison. “Cable hi-def” looks like fuzzy, grainy, crap compared to broadcast 1080i hi-def. 4. I have a Sony Vaio laptop with a beautiful screen for playing online movies and watching shows online. I also bought a VGA cable, since my flatscreen TV has a VGA/PC input. In this case, I can output movies from my laptop, to my TV screen. The only way I can receive cable television is through a satellite carrier because I live in a rural area. Does this affect any of the information and/or links that I have perused prior to writing this question? I invite feedback from anyone who has cancelled their satellite service and is still able to watch their favorite shows in HD. I find that I have to pay for so many channels that I have never watched in order to watch the few that I really enjoy. This would be a fabulous alternative especially as I am disabled and every dime I save would help my husband to work less. Will check back to see if their are any postings. I have not had cable in years because I got bored with the programming. The few channels I do like, I watch online at no cost, when I choose which makes it nice. Thank you for putting together this informative site to help people with a better alternative to cable because many are unable to afford the high fees cable providers charge monthly, ecspecially with so many out of work now. OMG! THANK YOU!! I owe our now free TV to you and this post!! When we moved to our new house 2 years ago we decided to put off getting cable for 2 years now because of the rip off price. We watch things through netflix but I was really starting to miss watching the new shows. My mom is coming to visit us and I will have to be working most of the time. I wanted cable to give her something to do, but was still conflicted over purchasing cable again. I searched the web for “cable alternatives” which led me to your site. We tried once before to get free digital but with no luck. We moved our plasma TV to a different wall months ago but never thought to try the cable cord on the new wall until I read your post and thought I would give it a try again. I turned on the the TV and was SHOCKED to see TNT! We now get 70 stations!! ALL FOR FREE!!! THANK YOU AGAIN! I am 75 miles away from my local stations towers and I pick up every major network plus more. They are all crystal clear. A major advantage over cable or satellite was the extra “sub” channels that you get when watching on OTA. I get a 24hr traffic/weather channel, news channel, even a movie channel and more. I didn’t even know these channels exist. Spread the word about free digital tv. I have been looking for alternatives to part with cable but my main concern is keeping broadband internet. Including all who read this great site, what are my possible solutions to be cable-free and still have broadband? I am currently in the NYC area. Thanks in advance. Thanks for this. I actually got one of the recommended Radio Shack antennas today and it was on sale for 13 bucks. Can’t beat that. I’ll have to play with it when I have more time, but just plugging it in has produced 8 crystal clear channels. Now all I need is a way to get my Hulu, etc. on the big screen. I just paid my cable bill (basic cable and internet) today – $176 for one month….that’s in the Detroit area too. Where everyone is out of work and foreclosure is at an all-time high. I decided after I paid the bill to get a converter box as I only watch two shows per week – 8 hours of tv per month. That’s $12.75 per hour I pay based on the cable fee of $100. One show is on Fox, one is on NBC. I can watch both on their network sites or hulu. Thanks for your great website. Hey thanks for the site, I just added it to favorites. I just got rid of a 176 dollar a month payment to comcast. Another thing you might look into is Ooma. Getrid of the phone bill, I was paying 40 a month just for that. The Ooma costs a little money to get started ($200), but after 3 months it will have paid for itself, and now I never have to pay a phone bill again. Anyways, thanks for the info again. Great site and a great cause! Helping people save money…, a lot of money. I had this thought for a while that my cable bill was too high but needed proper planning and an alternative to convince my family…lol so with that being said I am going to get a Roku and cancel my cable…how much is too much well 190+tax is too much and to think I have 2 accounts in the same apartment complex…Optimum yes Optimum still won’t give me a break!!! Will let you guys know the result…Thanks. Thank you so much for this information. I have been trying for almost a year now to lower or get rid of my cable bill. Once or twice each month, something happens, I don’t know what, but the service is horrible. The tv shows are grainy, my network connections are slowed down, or non existent at times. No real concern from the Cable company. They just expect to keep raising prices and screwing people with bad service. Now that I am aware of other less costly options, I will definitely cancel the service. Thank you once again. Bye Bye 125.00 a month on cable. Thanks for the information!! 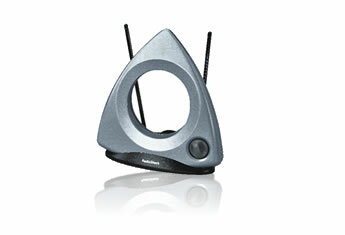 I am purchasing your suggested antenna today and will let you know how it goes. Awesome lets all save some money! Just put up a over the air antenna , used an 8 bay channel master . We get all the major network stations and several local and pbs channels. Have cancelled my costly cable service and the reseption is fantastic. Maybe if more people would go to over the air these expensive cable and dish people would get a message they charge to much. cool site, i am trying to cut back myself, want to see what channels are available in my area? This will save me a lot of money. Thanks for the share! I cancelled my cable two days ago once I really paid attention to that my cable bill went from $50 a month to $80 a month! I rarely watch tv anyway an so had nothing to loose. Then I wanted to see if I could just plug my cable back in to get a clear enough signal for the NBA finals – I did a channels search and program expecting to get about 5 local channels and next thing I know, I have over 80 channels. I thought this was just sone sort of programming technical glitch, then decided to just do a google search and found these posts. I woul have NEVER gotten cable had I known about these free channels. Like I said, I rarely watch TV so most of the channels I am interested in I am getting now – some are at 1080i some at 480i some at 720 some have no idea about ( no hd -but clear), but I do not care – it’s clearer than I expected – many more channels than I expected, and FREE! For 2 years, with a bunny-ear antenna, digital-analog antenna signal converter, and a old TiVo DVR service ($13/month), we record more TV than we have time to watch! A lot of good programming comes on while I’m at work or asleep, so there is tons of stuff to watch when we record it. (3) TiVo to old TV using RCA hookup. (2) Tivo to flatscreen using HDMI cable. This website is great! I hope more people learn about the awesome digital broadcast signals and go back to bunny ears and save some money! Do I have to buy a 1080p tv—led to get free tv? I was thinking of buying a new Panasonic tv lcd, 720p? Had a digital tuner built-in. we switched to digital antenna from cable and could not be any happier. we get the three major networks, local pbs stations, local networks, and one cable network. we dont miss cable at all. the best part is that it’s free. I have been getting my free channels for about 3-1/2 months and am very happy with the channels I get. If I happen to miss a show I can always watch if the following day or so for free also by logging into abc.com, nbc.com, abc.com, etc. I say, “Why pay when you don’t have to?? ?” Of course, if you don’t mind paying the ridiculous prices for 50+ channels every month, then go for it. I prefer to put my hard-earned dollars into my 401K.